Time is a luxury in today's fast paced market, where decision makers are having to decrease their time to insight, reporting and anlysis. Come learn how Qlik's proven platform over the last 24 years and 45,000 customers has created faster time to insight and reporting. I truely beleive the Qlik platform is proven in its capacity to work with exitsting systems and allow for future capabilties in more advaced analytics that no other current system or tool can provide. In this event we will enjoy drinks, food, giveaways with an incredible view of the Houston Skyline while learning about where analytics is going in the future. 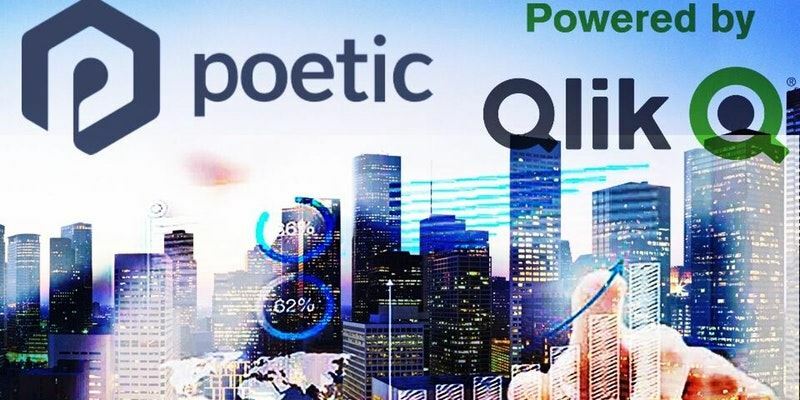 Qlik through our integration partner Poetic Systems has proven to delever lower TCO and improved ROI when compared to current systems. We will cover how Qlik has done this through customer examples and a live demo of the product.